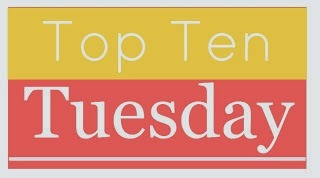 Welcome to another installment of Top Ten Tuesday, the fabulous weekly meme hosted by the lovely blog the Broke and the Bookish. This week the theme is Top Ten Blogging Confessions. However, instead of listing ten different confessions, I’m going to focus on the major one that I have. The majority of my posts are written in advance. I don’t just mean a day or two in advance. I’m talking two or even three weeks ahead of time. Ever since I discovered that WordPress allows you to schedule posts for later dates my entire method of blogging has changed. Instead of writing a review, meme, etc. on the day I wish to post it I keep a monthly blogging calendar of all the posts for the month. When I write and schedule a post ahead of time I make a note on my blogging calendar that it’s been updated. I generally color code things, so it’s easy for me to see what’s been scheduled and what still needs to be written. It took some getting used to at first, but now it’s practically automatic and feels like just another part of my routine. I do write my WWW Wednesday posts on the day they are posted, but almost everything else is written in advance. Personally, I think that it’s beneficial to write book reviews early while the book is still fresh in my mind. Top Ten Tuesday posts sometimes take longer to create, so getting them done ahead of time eases some of the stress I feel when blogging and my looming assignments for school collide. Scheduling posts in advance ensures that I won’t get behind when life gets chaotic. Even this post is being scheduled ahead of time. As I write this it is June 18, and I am still in my last week of school taking my final exams. But the by the time you read this, school will have ended for me and summer will officially be in full swing. I’m not “confessing” this because I think it’s necessarily a bad thing- rather, I’m confessing it because it’s something that people may not realize about my blog. I still read and reply to comments as they are left, so I don’t lack the interaction with others or anything. Really, what’s the difference if I write a review two weeks in advance or the day it’s being posted? My thoughts on the book are the same either way. It’s a method that works for me, regardless of the fact that it may not be very traditional. What are your blogging confessions? Do you schedule posts in advance, or do you blog everything in “real-time”? Let me know in the comments section below! Wow, it’s all so organised! I keep feeling as it I should devise some sort of blogging schedule but I have no idea how to go about it.